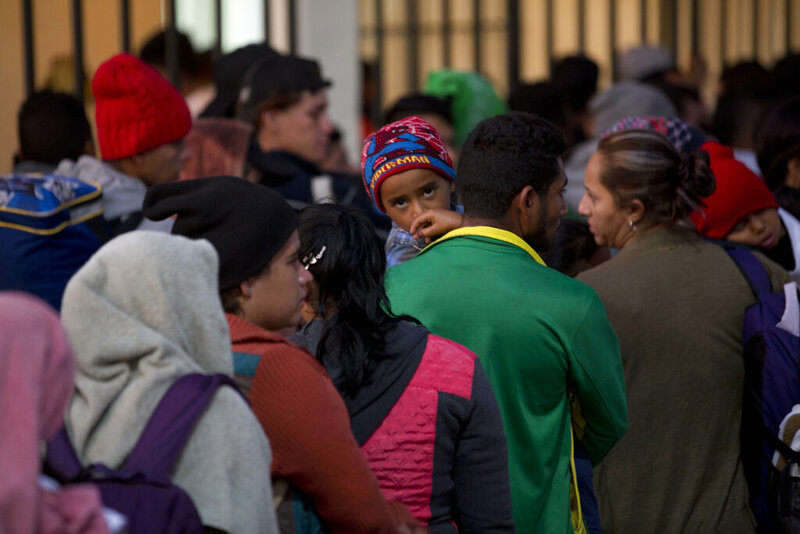 Thousands of caravan migrants have applied for visas and job permits in Mexico after facing tough security at the U.S. border. According to Mexican officials, 3,700 Central American migrants have applied for immigration status since Saturday. They said migrants are seeking humanitarian aid and immigration documents, which have been promised to them by the Mexican government. Officials said the rise in applications comes after previous caravans have failed to enter the U.S. over the past few weeks. However, some migrants are saying the application process is taking too long. Mexican officials also said their new immigration policy comes in response to President Trump’s calls for assistance with border security. Saw this on TV News. They were taking pictures, live scan fingerprints , and iris scans of every person. Those fingerprints need to be matched with the ones pouring over the border. If we have a match...boot them back into Mexico. Mexico does not want them either. This is a lie and a scam...one Mexico has been pulling on the USA for decades. They will not stay there.